■ Light weight and compatible with safety eye wear. ■ Foam nose cushion adjusts to fit the bridge of the nose. 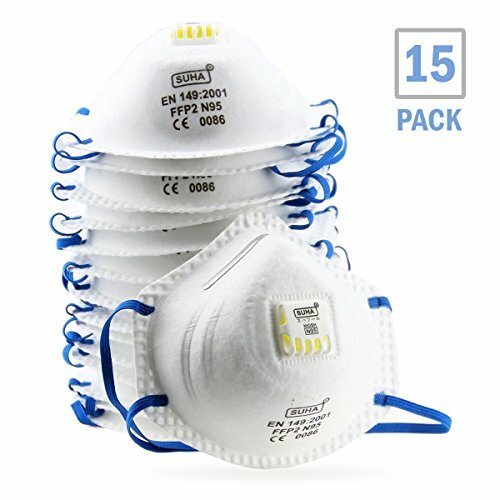 DCM Respirators help protect your lungs from harmful vapors, fumes, gases and dust particles which could lead to more serious health complications. Equipped with elastic banding, our Respirators negate any potential latex allergic reactions from occurring. We offer our Respirators in quantities that are suitable for a single individuals demand or the demands of a large company. If you have any questions about this product by SUHA, contact us by completing and submitting the form below. If you are looking for a specif part number, please include it with your message.